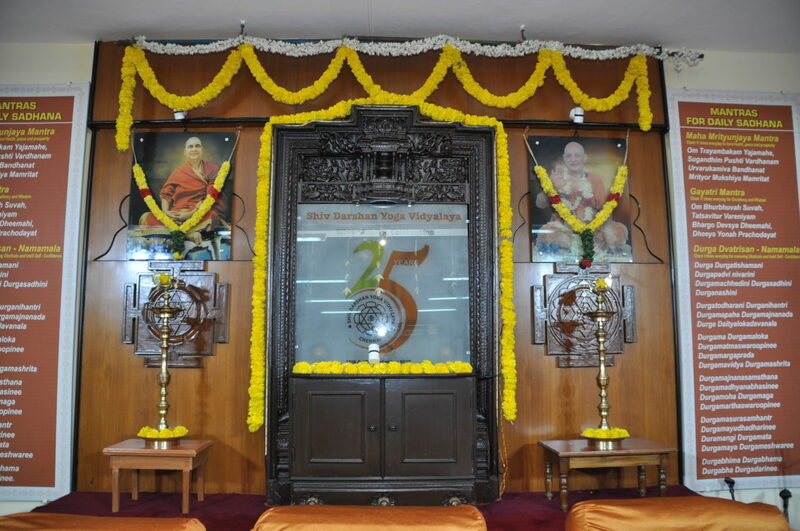 In attempting to ameliorate or manage other major diseases, it is frequently necessary to initially strengthen and rebalance the primary digestive processes, because if the shakti or vital energy can be awakened and balanced, then regenerative processes are set in motion automatically and self-healing will spontaneously begin. Asanas, some aspects of pranayama and a large portion of shatkarmas, including dhauti, nauli and basti aim to purify and heal the digestive tract as well as other body systems. The Yogic approach to rectifying imbalance in the respiratory system is gradual and gentle, with the emphasis on redirecting subtle energies rather than on just gross physical manipulation. Unlike the surgical process of antral washout, in yogic science, cleansing of the whole respiratory tract is accomplished readily and painlessly by the practice of Hatha Yoga. In terms of cardiovascular diseases, yogic practices acting centrally would relax the autonomic nervous system and, we can hypothesise, improve sympathetic blockage. There are two mail approaches to cardiovascular disease by yoga. The first is the classic situation in which one learns a series of techniques and performs them twice or more times per day and thereby, over a period of time, the benefits can be felt to extend throughout the day helping us to relax, face and handle stress, deal more effectively with people and situations in general, and feel better within ourselves. The second is the modified approach for busy people such as executives and doctors, who are particularly prone to cardiovascular disease and probably need yoga and relaxation. The yogic techniques for cardio diseases must be practiced under the direct guidance of yoga experts. According to yogic physiology, the urogenital system is governed by the water element and the pranic energy by which it operates is derived from the psychic center known as swadhisthana chakra. All these disease related by Urogenital System whether in men or women can be managed by yogic practices. ENT problems occur because of the hormonal imbalance, other skin problems, anemia, vertigo and other pschycological problems like anxiety anger, depression etc. can be successfully treated by yoga.